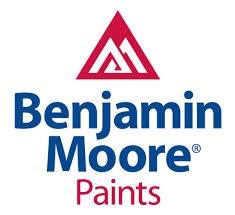 (The Daily Caller) -- A black man in New Jersey has filed a lawsuit against his former employer, Benjamin Moore Paints, which he says named one of its paint colors after him and then fired him when he complained. “Being a black man named Clinton Tucker, the plaintiff found this to be extremely racially offensive,” reads the complaint, filed in Essex County Court. Tucker claims that the company’s executive management were aware of his displeasure with the color names, but failed to take his complaints seriously and then terminated — allegedly unlawfully — him in March 2014. The company already had a color named “Clinton Brown.” A co-worker pointed out the names of the two paint colors, which together contained Tucker’s first and last name, and thought it was funny, according to the lawsuit. “Tucker found it to be repulsive,” the complaint reads. “Confederate Red” is another Benjamin Moore paint whose name seemingly references the southern side of the U.S. Civil War. “Despite Mr. Tucker’s repeated complaints and protestations to [Benjamin Moore] management about these appallingly racial color names, no action was ever taken,” Tucker’s suit reads, pointing out that the company still sells the paint colors at its stores and online. Tucker made other allegations, including that the company has a “toxic” work environment that is hostile to minorities. Approximately 10 of Benjamin Moore’s New Jersey headquarters’ employees were black and only one was homosexual, the suit claims. The 34 year-old Tucker, who had nine years of work experience in online retail marketing, also says that the company denied him promotions and opportunities for growth while promoting whites. His boss ignored an email Tucker sent requesting to be able to take off work to celebrate Martin Luther King Jr. Day, the suit claims. Following that incident, Tucker alleges that he was demoted and given fewer responsibilities while white co-workers were given promotions. Tucker claims that he was unlawfully terminated in March 2014. His suit accuses Benjamin Moore of discrimination, a hostile work environment, and retaliation and seeks compensatory and punitive damages. The Daily Caller contacted Tucker’s attorney, Charles Schalk to clarify the accusations. “Yes, the allegation is the colors were named after my client,” Schalk told TheDC.